As I said last week, when I shared my favorite ten contemporary novels of 2018, today you’re getting my favorite ten fantasy books! My two main genres deserve separate posts, no doubt. Especially since I read 185 books last year, so making top tens is hard enough as it is! The world-building is one of the aspects I loved most in this one. The mention of hard topics is something that drew me in as well. Absolutely lived for the presence of shapeshifters though! I will never, ever forget how proud the author was when he described his book as “a combination of Pokémon, Harry Potter and Lord of the Rings”. It’s what had me curious and what I loved most! Now.. If only I wasn’t so bad at sequels.. Speaking about sequels.. This is one I did read in 2018! I must admit that people saying it’s way better than Caraval helped motivate me and they ended up being right! Need I say more? His writing-style, his sarcasm, his world-building.. Pretty much everything is right up my alley and I will never not read anything he writes. There. I’ve said it. Although I also read Stalking Jack the Ripper last year, it’s the sequel I love most. 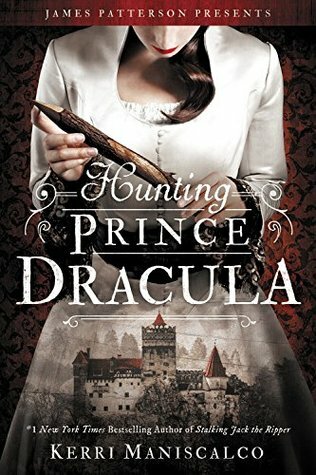 I didn’t really feel the romance in the first installment, but was blown away by every single aspect of Hunting Prince Dracula. The only thing I still don’t agree with are the spiders. Hate those creatures. Slow-burn sapphic romance. That’s all I need to say about this because it’s the main reason I fell entirely in love with this novel. That and the world-building. The plot. All the characters. Everything. What I remember best about this book is how the author used present-day issues in her fantasy novel and I really appreciated that. Apart from that, I also liked the characters, the history and the way the action kept on coming. This was my introduction to reverse harem and, even though I haven’t read an awful lot of the genre still, I’m still so intrigued by it! Apart from that – very important – aspect, the presence of witches definitely helps things as well! This retelling! You all know I love retellings, queer ones most of all but.. another winner are the really dark ones and this one fits the bill perfectly. I didn’t expect it, which made it an even better reading experience. I finished the entire Throne of Glass-series last year, but I have to say.. this is probably still my favorite! Maybe, just maybe, I’ll change my mind once I reread them but.. We’ll see! And an honorary mention for Harry Potter since I reread all the books and I can’t not mention these! I can’t wait to hear what you think of Escaping From Houdini since you loved HPD! HPD is still my fave in the series, but I thought EFH was so good, too. I’m pretty sure I’ll end up agreeing with you. I’m kind of missing.. the dark and eerie vibes I got in HPD? Right! Yeah, I felt like SJTR and HPD were both much more atmospheric and creepy~ than EFH. Same! If it hadn’t been for all the amazing reviews on Legendary, I don’t think I would’ve picked it up by myself to be honest. 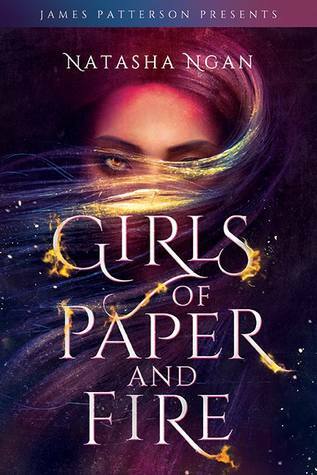 I’m really excited for The girl king and girls of paper and fire! 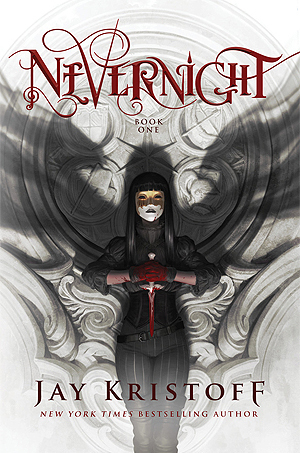 I also really loved Nevernight and Legendary! 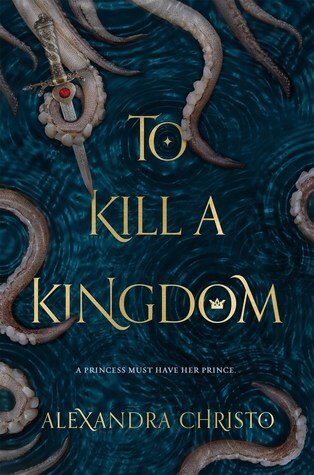 I’ve only read To Kill a Kingdom but I am super curious about Girls of Paper and Fire. Just that cover alone! I looove that cover! 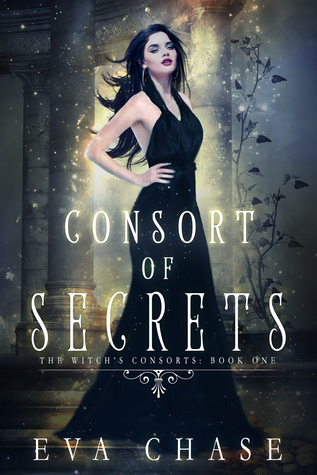 I was stoked when I had read the ARC and then found out there’d be an exclusive cover in my FairyLoot, haha. Saaame! Finale and CVV! Two of the sequels I needed yesterday, haha! Nevernight and Children of Blood and Bone were so good 😍😍 and Harry Potter! YAS! It stinks that the sequel to CBB has been pushed back a bit! I neeeeed it! Almost all of these are on my TBR. The only ones I’ve read are Harry Potter and Children of Blood and Bone. 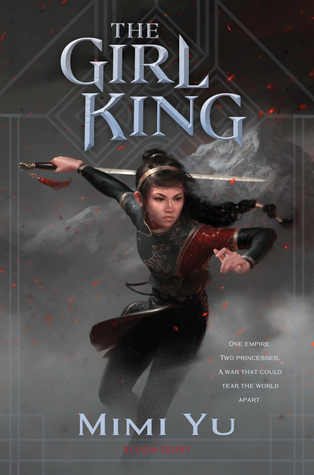 I haven’t seen many positive reviews for The Girl King and so I’ve been a little put off by it, but it’s always interesting to get another take on it so I’m off to go check your review out of that now. Great post – I cannot wait to start reading the rest of these books! They all sound so amazing. I’ve noticed the reviews on The Girl King.. I haven’t read those thoroughly yet, but maybe I should. See if there are things I simply didn’t notice myself that should be mentioned and such. it’s amazing to me how many genres Pokemon can be mixed into…the concept being used here in a fantasy novel, and then in the trailer I recently watched for the WTF factor, DETECTIVE PIKACHU, lol! Haha, right? I do love seeing Pokémon mixed into things. Nostalgic every single time. 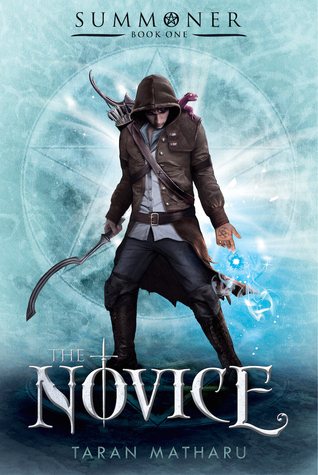 I haven’t heard of Novice but that description has gotten me curious! Oh, do check it out! I’ve only read the first book so far, but I did enjoy it tons! 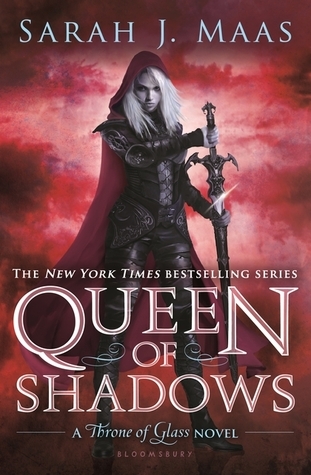 Queen of Shadows is totally my favorite in the series too! I do wonder whether I’ll ever change my mind about that should I reread the entire series though, haha. I just did it when Kingdom of Ash came out. I had only read the books not too long before that for the first time so a reread wasn’t in order yet, haha. Rereads are fun, especially once you have the whole series. Definitely true! Which is why I want to reread all Shadowhunter books this year. Although with Clare, there just seems to be an endless stream of Shadowhunter books, haha. Seriously! I thought TDA was going to be the last but I sure was wrong! Although I do wonder when it’ll start feeling like “too much” – not yet but.. eventually it might happen? I need more Fantasy in my life!! I’ve heard so many great things about NEVERNIGHT and the THRONE OF GLASS series! 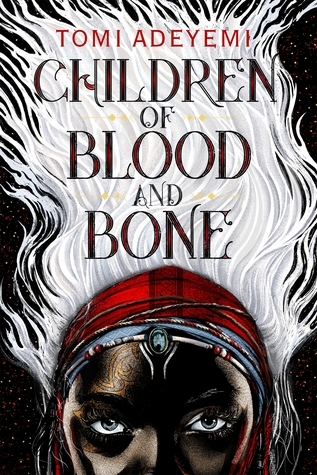 I really enjoyed Children of Blood and Bone, and I’m happy the sequel is coming out later this year. Same! Although it’s a bummer the release date was pushed back a bit, hah. Yes, but at least it gives the author more time to perfect it. It’s a hard life **sniff** but I try to be strong. I enjoyed Caraval, still need to get Legendary- glad to hear it’s even better! The hype had me put off To Kill a Kingdom but I’ve seen so many trusted bloggers mention it now I’m starting to rethink..
Ooh, I hope you enjoy! Ha, I ignored the entire hype and focused on how it’s a fairy tale retelling – which I love so much. And it’s a dark one at that, something you rarely see, in my opinion. I do hope you love it should you pick it up anyway! So many of theses are in my TBR. The only ones I’ve read are Harry Potter and Stalking Jack the Ripper which you know all about my love for that series!! I can’t wait to see your thoughts on that one. Yes! I could’ve written this list as my faves too! Oooh, it’s sooo good! I know you don’t usually read fantasy but I honestly can’t imagine you not liking Girls of Paper and Fire! Glad to see Girls of Paper and Fire + Legendary on here. Both of those are on my TBR for next month so I’m excited! Oooh, awesome! I hope you enjoy them! 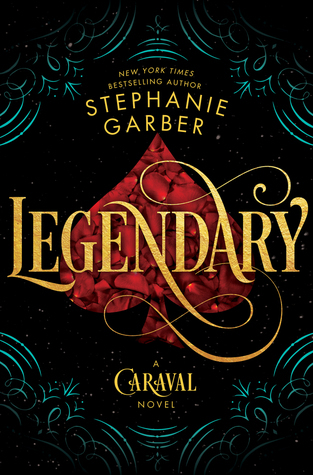 Legendary is way better than Caraval in my opinion; but Girls of Paper and Fire is definitely higher on my favorites than Legendary, haha. Yes you do! Dark retellings are my downfall and that’s a brilliant one, in my opinion! I loved Hunting Prince Dracula, and I can’t wait to continue on with the series. 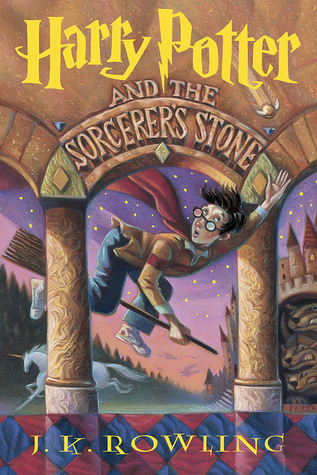 Harry Potter is always a favorite of mine! I started Escaping from Houdini yesterday! I forgot how quickly you get thrown into a murder case, ha.